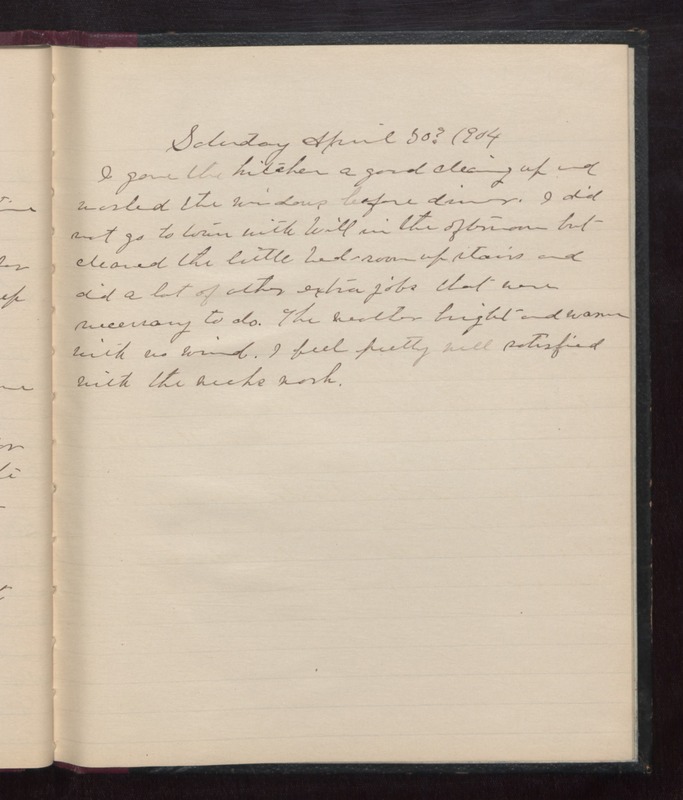 Saturday April 30th 1904 I gave the kitchen a good cleaning up and washed the windows before dinner. I did not go to town with Will in the afternoon but cleared the little bed-room up stairs and did a lot of other extra jobs that were necessary to do. The weather bright and warm with no wind. I feel pretty well satisfied with the weeks work.